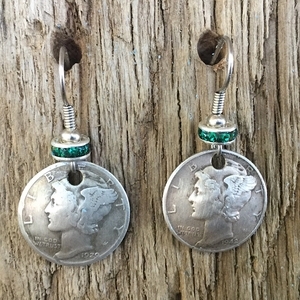 Mercury Dimes, the wings on the head represent freedom of thought in mythology with Austrian lead crystal rondells. Choose for yourself the crystal you would like (see Options). 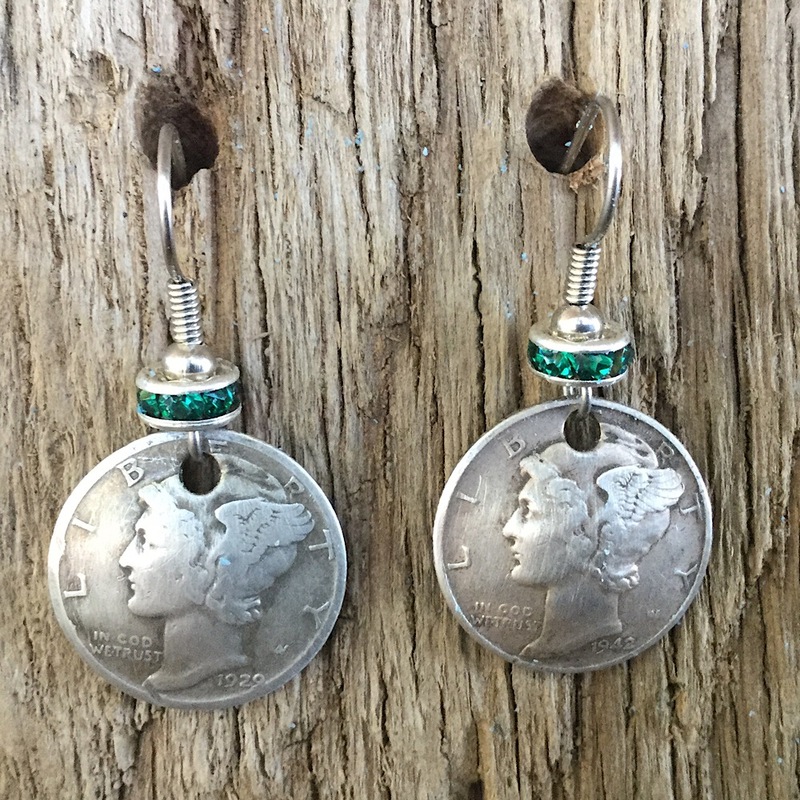 Can be made from your coins for $20.These handcrafted coin jewelry earrings are also made in the USA.